deb-Bee's | Featuring Atlanta's Truely "Local Honey"
Featuring Atlanta's Truely "Local Honey"
She Works Hard For the Honey!!!! 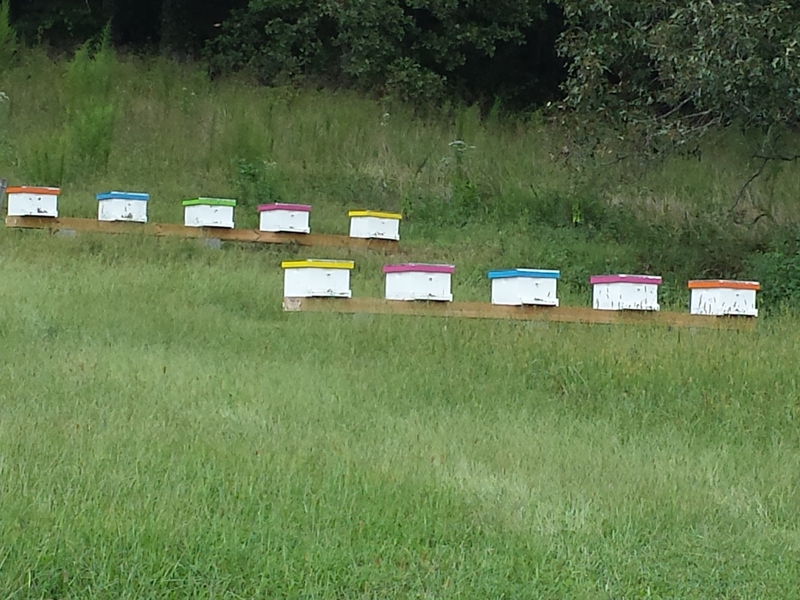 Honeybee Hives at one of our apiaries. deb-Bee’s is a family operated beekeeping business with bee yards (apiaries) near Atlanta Georgia. Wildflower Honey: Wildflower Honey is made in the spring from the large variety of flowers available at that time. Every year the bees make more honey than they need. We leave some for them and harvested the rest to enjoy. Our Wildflower Honey is made by honeybees kept in Cobb, Cherokee, DeKalb, Douglas, Forsyth, Gwinnett & Hall Counties. The location of our hives is what makes our Wildflower Honey so very local to Atlanta’s suburbs that are north, west and east of the city. To purchase, contact Debbie by voice or text at 770-241-2853 or by email at Debbie@deb-Bees.com. 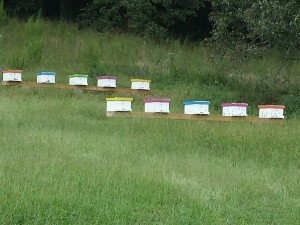 Sourwood Honey: In June, we move a lot of our bees to north Georgia where they make Sourwood Honey. Sourwood Honey is considered to be a Mono-floral Honey because the bees make it predominately from one source, the Sourwood Tree. Visit our “Sourwood Honey” page for more information about, what many people consider to be, the best honey in the world. Our Sourwood Honey is made in Pine Mountain Georgia which is about 12 miles east of Clayton Georgia. More information about it can be found on our “Sourwood Honey” page. One of our honeybees at work.